Does Your Hospital Website Design Have All These Elements? A healthcare website is different from all other websites. It is a complex mix of services, information, stories and applications. People visit a hospital website for plenty of reasons. Hospitals are not like typical businesses; they are care givers and people who approach them are usually in distress. 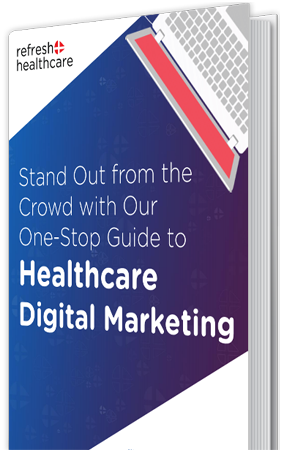 Thus, it is crucial to create a balance between different components so that they help achieve the goals of the healthcare website in an intuitive and strategic way. Here are some of the most important things that a hospital website design must include. Your hospital website must have a clear, clean, easy and patient-centric navigation. All the links should be upfront. They should not only be replicated on the homepage but also throughout the site. It is also important to provide the visitors with one-click access to setup an appointment, explore services and find a doctor. As mentioned before, the people who visit your healthcare website are usually in distress. Therefore, your hospital website should be user-friendly so that they don’t have any trouble finding out what they need. Go for a simple design with everything upfront for the patients as well as for any other person visiting the website. It is best to keep the design of your website as simple as possible. Choose the right color scheme, ideally the one that goes with your brand. Keep in mind that when it comes to hospital websites, simpler is better. Most of the people today access the internet using mobile devices. Your website will not reach its objectives unless you have made it responsive. With non-responsive websites, people find it difficult to navigate it across various devices. They tend to turn away from these websites and may choose your competitor over you based solely on the fact that your website is not responsive. It is important to include information about your doctors and staff on your website. This makes it easy for the website visitors to find the right person for their need. You can also add an option to set an appointment with each doctor to simplify the process even further. You must include a list of your specialties and the treatments you offer at your hospital on your website. Not only does this let your prospective patients know what you cannot or can provide, but it also helps improve your search engine rankings. You may also have a separate page for each service and treatment you offer to provide the website visitors with additional information. Your hospital website is of no use unless people are able to reach it. If you want to reach your objectives, you must optimize your website for search engines. Unless you rank on the first page of the search engines, you will not be able to reach your goals. Your healthcare website must include your contact information in addition to options for placing inquiries and setting appointments. This makes it easy for the visitors to get all the information in one place instead of running around looking for it. Need help with the web design of your hospital website? Get in touch with the experts at Refresh Healthcare. 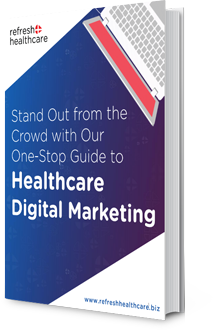 We are a leading healthcare digital agency within the healthcare sector.